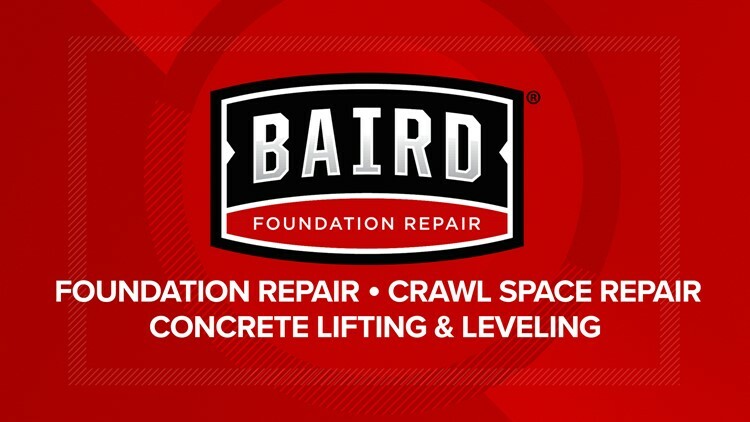 Baird Foundation Repair is a locally owned family business specializing in foundation repair, concrete lifting and leveling, CleanSpace encapsulation, crawl space repair and more. The owner, John Chaney, has over 30 years of experience working with foundation problems and providing long-lasting solutions to homeowners. Furthermore, all of their customer representatives and installation technicians have been trained and certified through the Supportworks and CleanSpace international training programs, making them experts in the industry. Baird proudly services all of Greater San Antonio, New Braunfels, Victoria, Corpus Christi and South Texas. Count on Baird for all of your foundation needs because doing things right the first time is their family tradition! Call today at (210) 534-4110 for a FREE estimate, or for more information, visit www.bairdfoundationrepair.com.